If there’s one question that bike experts are constantly asked it’s what’s the difference between a tri bike vs road bike, and what is a tri bike exactly? When you’re looking to get yourself a new set of wheels you might be pondering the benefits that each one offers, and for those who take their triathlons seriously, you’ll want to come up with the answer that’s going to make you a better cyclist and offer a better performance. 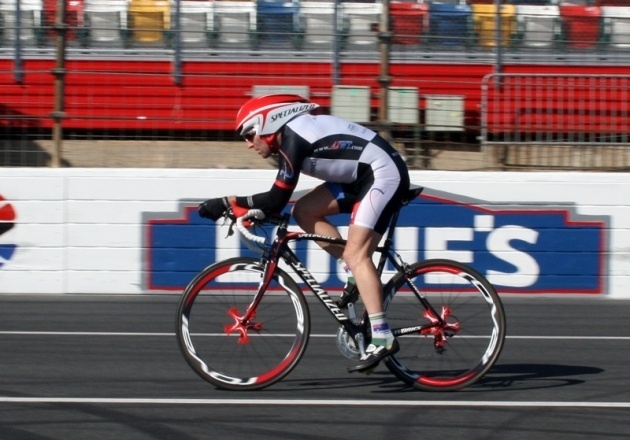 Triathlon bikes have been specifically designed for these conditions, but road bikes are more versatile and have the ability to be modified. The advantages that each offer is one of the reasons why this is such a hotly debated topic among cyclists, beginner and expert alike. With each bike having their own pros and cons, it’s a matter of educating yourself about the difference between a tri bike and a road bike and what they bring to the table so you can make the choice for yourself. Every rider is unique and so too are their needs for a bicycle, which is why we’ve answered all of your questions about how these two powerful devices stack up against each other. What Makes Triathlon Bikes Ready For The Main Event? 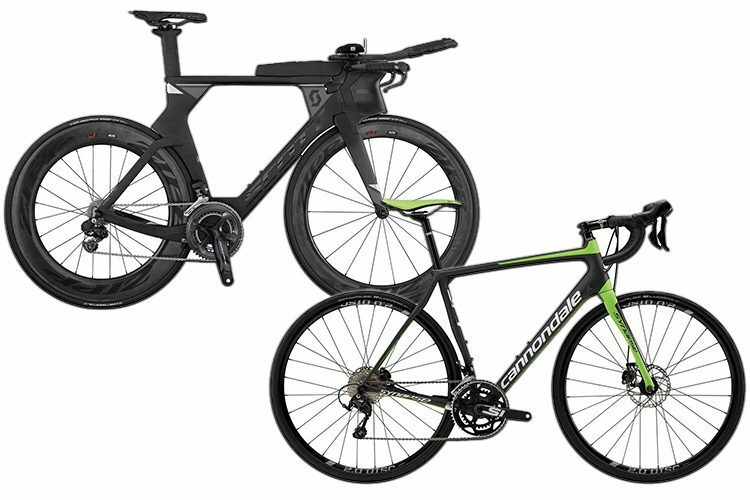 To understand the triathlon vs road bike debate, you need to know what exactly separates the two from each other. In terms of being prepared for a triathlon, there’s no doubt that a ready-made tri bike is going to have almost everything you need, but it does come with quite an increased cost. Triathlon bikes are built with a different frame geometry to a road bike, which has been made to handle a wide range of situations including hill climbs, sharp corners, rocky ascents, and riding in a tight group. They achieve this by seating you in an upright position that makes it comfortable for these settings, gives you clear visibility, and allows you greater control of the bike. The tri bike has really one purpose and that’s to give you a narrow riding profile, get you low to the ground, and hopefully increase your speeds so that you have a chance of winning. 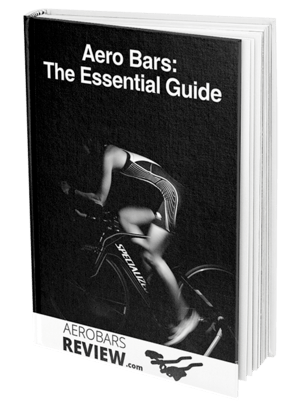 These bikes feature aero bars that improve your aerodynamic position so that you can put most of your weight towards the front. Although they’re excellent for the purpose of triathlons, these are really a specialty bike that you won’t really consider taking for rides anywhere else. What Are The Benefits Of A Triathlon Bike? Comfort - Because the entire frame of these bikes has been designed to be ridden in the aerodynamic position, you’ll find yourself more comfortable riding in a triathlon than if you were seated upright on a road bike without any modifications. 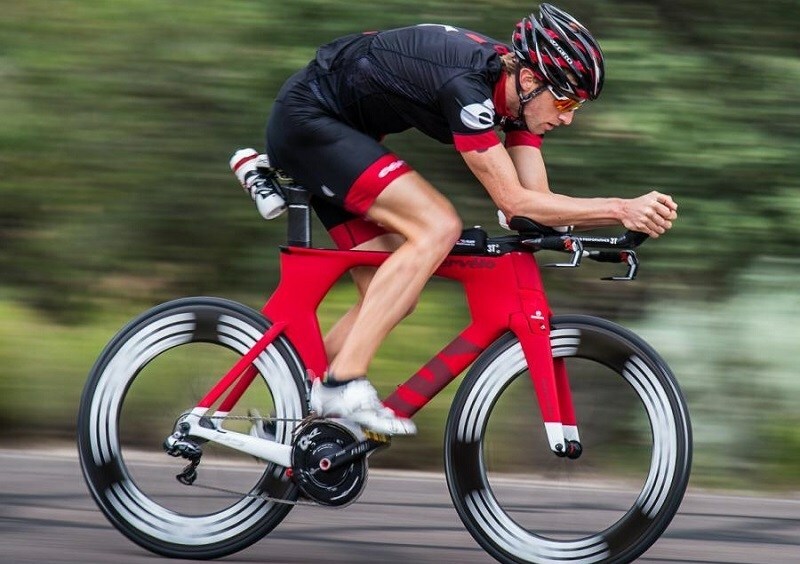 Speed - The number one benefit that a tri bike has is the speeds it’s capable of in these situations and it’s all due to the profile that you can achieve when you’re sitting low and forward as you will on a tri bike. Reduced Drag - When you have more of an exposed surface riding, you’re more likely to pick up drag due to the wind resistance. A tri bike lets you sit in a narrow and low position to reduce this drag and ultimately give you faster speeds. Transition - These bikes have been made to compete and for that reason, they include everything you need for a fast and efficient transition, especially when you’re ready to jump off and start your run. When Is It Best To Buy A Triathlon Bike? Although it’s clear that the triathlon bike has a lot of benefits when it comes time to the main event, the reality is that these days they aren’t as essential as they were once thought to be. According to the experts, it’s common today in triathlons to see a steady mix of tri bikes, road bikes, and hybrid bikes which have some modifications on them like aero bars, so you’re not necessarily going to be up against the biggest and best. The major issue with purchasing a triathlon bike is the cost, and with such high price tags, they’re generally way out of reach for the average cyclist. When you’re spending this much money on something you’d probably like to get some more use out of it than just competing in triathlons, so for many people the obvious answer is getting a quality road bike and making the necessary adjustments when it’s time to train and race. The tri bike certainly has its advantages but that’s not to say road bikes aren’t without theirs as well. Road bikes are lightweight and great for climbing hills, they turn sharply, and they can easily be modified with aero bars and other equipment that can help you achieve the aerodynamic profile that a tri bike offers. If you’re restricted by budget or you want a bike that can do more than just compete in triathlons, the road bike might be for you. However, there are some triathletes who swear that nothing but a tri bike is how they like to ride and how they achieve their best performance. Each cyclist is unique and so too is their preferred gear, so it all comes down to what you’re comfortable with during training and for the main event. Whichever you decide to use, it’s imperative that this is the machine you train with so you can be aware of its strong point and weak points, and learn how to use them to your advantage.